What degree are you interested in? Great! Help us get in touch. We respect your privacy. Submitting this form constitutes your express written consent to receive emails, phone calls, text messages and/or other media from Judson University at the phone number(s) or email(s) received, including a wireless number(s). These emails, texts, calls or other media may be generated using automated technology. You may opt out of receiving any of these communications at any time. You are not required to provide this consent to receive services from Judson University. At Judson University, we meet the needs of an evolving world without forgetting the people and places that matter most. In 2007, its name officially changed to Judson University, and today, Judson continues to find ways to strengthen both its students and the world around them. Judson University is a conservative, evangelical Christian university. We develop responsible graduates who glorify God through their personal relationships, their work, and their societal impact. Our learning environment is predominantly, but not exclusively, Christian—students from all walks of life are invited to join our community. Since the creation of the Division of Adult and Continuing Education in 1994, Judson has continuously found new and innovative ways to help non-traditional students complete their degree. Now known as the Division of Professional Studies, Judson continues to provide career-specific education with the same level of personal support. In 1999, Judson’s Rockford extension campus opened, providing greater access to adult-focused programs, and then expanded further as Judson began offering programs online. In 2017, the Rockford campus moved into the SwedishAmerican Riverfront YMCA—a partnership that pays dividends for students and the community alike. What makes Judson stand out? You have the power to choose when and how you earn your Judson degree. Take classes one night a week on campus in Elgin or Rockford, or complete your program 100% online. The 3rd floor of the SwedishAmerican Riverfront YMCA has been transformed into 10,000 square feet of classrooms, study spaces, and office space. Judson students become YMCA members, granting them access to free child care during class, complimentary use of the fitness facilities, and other benefits. You can complete many of Judson’s Division of Professional Studies degree programs 100% online. Through our ELearn platform, you can view your classes, complete and submit assignments, engage with instructors and fellow students, and access support resources. Judson University has been an active “citizen” of the City of Elgin since establishing its current campus in 1963. Judson remains committed to serving Elgin’s needs through strong partnerships with businesses, elementary and secondary schools, and non-profit agencies. Why should you choose Judson University? We believe that education is more than the acquisition of knowledge. It’s also the personal growth an individual experiences by being part of the Judson community. Whether you study online or on campus, you’ll benefit from Judson’s focus on growth and community. You’ll develop as a person and a professional, guided by caring instructors and supportive peers. How are Judson’s programs different from other universities? Adoniram Judson said, “The future is as bright as the promises of God.” At Judson, we recognize that furthering your education involves you—and us—making and keeping promises to make your success more likely. The Judson Promise is to provide you an education experience founded upon affordability, accessibility, community, and quality. We are proud to make a difference in the Elgin and Rockford communities we call home. Earn your degree on campus in Elgin or Rockford, or complete your program 100% online. Take one course at a time, one night a week, to better focus your studies and maintain a healthy balance. Students at our Rockford campus receive free child care courtesy of the YMCA. You’ll work with a personal success coach to help you make continual progress toward your degree. 24/7 tech help desk, academic assistance, and other support services are a click or call away. “My role is to personalize support for each individual student and to craft strategies to achieve success in the school/life balance. 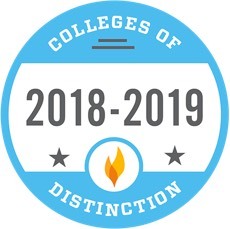 Judson University is accredited by the Higher Learning Commission (HLC) and a member of the North Central Association. This means you can be confident in the quality of the education you receive, whether you take classes on campus or online. 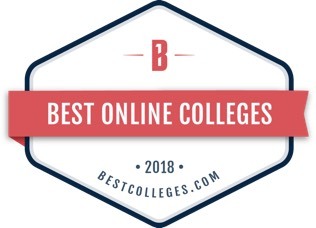 That quality is backed up by the local and national recognition Judson has received from U.S. News and World Report, The Wall Street Journal, College Factual, TheBestSchools.Org, ChristianUniversitiesOnline, Business Insider, and other publications and sites. Request more information today, and you could start keeping your promise to begin your degree soon. Head to JudsonU.edu to learn more about our traditional programs.